Fantastic Mantle RC with attractive VGEX corners, strong card stock and nice cream borders. The color and focus are deserving of a higher grade. 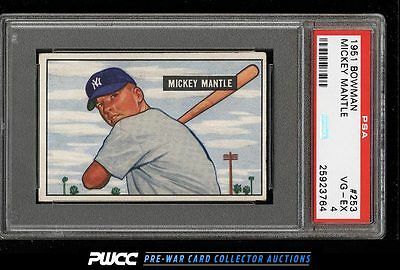 Mantle rookies continue to rise in value as collector's realize how under appreciated they are. A faint vertical runner mark near Mantle's face and light corner wear downgrade. Deserving of attention. One of nearly 20,000 cards, lots, and sets up for bid in our 7th Auction of 2016. Click on the link above to view the other PWCC auction lots.